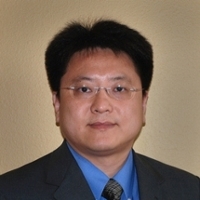 Xiaoxian (Bill) Li, MD, PhD, is Associate Professor in the Department of Pathology and Laboratory Medicine of Emory University School of Medicine. Board certified in clinical and anatomic pathology, Dr. Li specializes in breast pathology. Before joining Emory University in 2013, he completed fellowships in Oncologic Surgical Pathology and Breast Pathology at MD Anderson Cancer Center in Houston, TX. Dr. Li is an associate member of the Cancer Genetics and Epigenetics research program at Winship Cancer Institute of Emory University. He is also a member of the Grant Review Committee at American Cancer Society. Dr. Li obtained his PhD in less than four years from the Department of Biology at University of Maryland in College Park, MD. He received his Medical Degree from Beijing Medical University in Beijing, China. He completed his postdoctoral training as a Postdoctoral Associate in the Department of Pharmacology at Fox Chase Cancer Center in Philadelphia, PA and then as a Research Associate in the Breast Center at Baylor College of Medicine in Houston, TX. He completed his residency at The Methodist Hospital in Houston, TX. Dr. Li's research interests focus on all aspects of breast diseases from benign to malignant neoplasms, particularly developing predictive markers in breast cancer and studying the mechanisms underlying tumor initiation, progression and metastasis. Dr. Li serves as Section Editor of Breast Pathology for Archives of Pathology and Laboratory Medicine. He also serves on the editorial board of American Journal of Clinical Pathology, Human Pathology, and Clinical Breast Cancer.